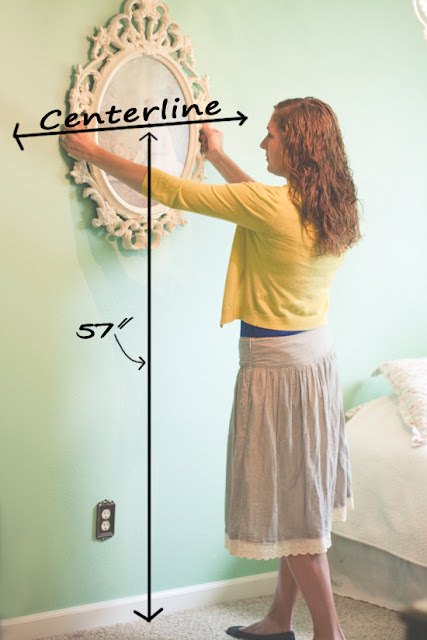 It may seem like an easy task, but hanging pictures can be a little daunting. If you are having problems hanging photos, don't worry, your not alone. 1. Hang your pictures so the center point of the frame is at eye level. This is generally around 57" high. 2. 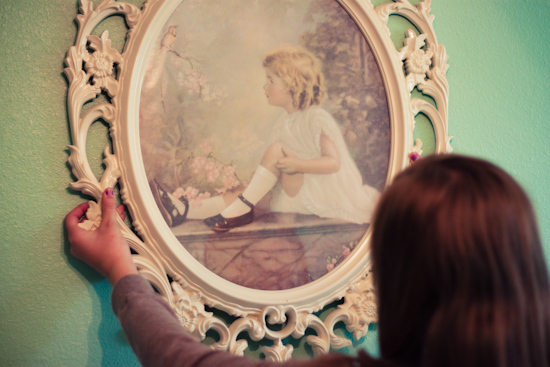 Wall art often looks awkward because it is simply placed on a wall with nothing grounding it. 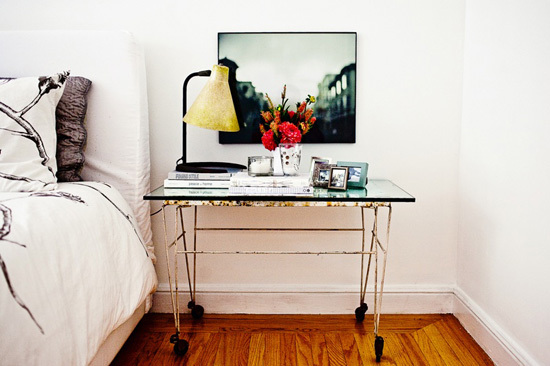 To avoid this, incorporate your pictures into a grouping of objects, using furniture and accessories. This way, your picture won't look like it's just floating in space. 3. Consider the proprtion of your picture, to the amount of negative wall space. 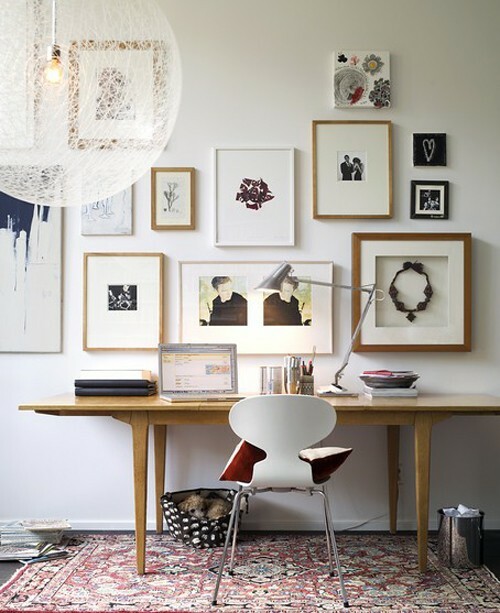 For example, if you have a large wall you will most likely want to use a large picture or a collage of multiple pictures to fill in negative space. 4) If your doing a photo collage, lay out the frames on the floor 1st. This way you can reposition the frames however you please. After you have found a pattern that works, take a picture with a digital camera so you remember how you liked them when you go to hang them on the wall.